Mad Professor Amplification is celebrating the 10th anniversary with a special edition of the first ever produced pedal under the Mad Professor name: Little Green Wonder. 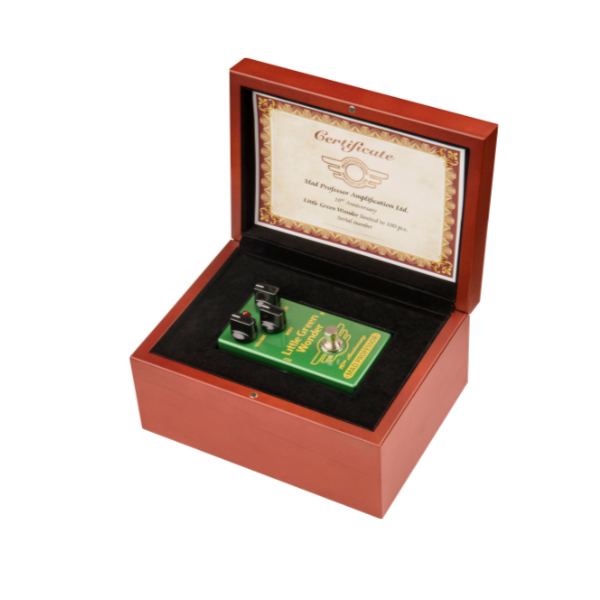 This limited to 100 pc anniversary model has a slight twist compared to the original and comes in a beautiful wooden box with a certificate. The journey of success will continue!